It’s Yarn Love Challenge Day 2! If you missed day 1, explaining what exactly Yarn Love Challenge is, please see yesterday’s post. 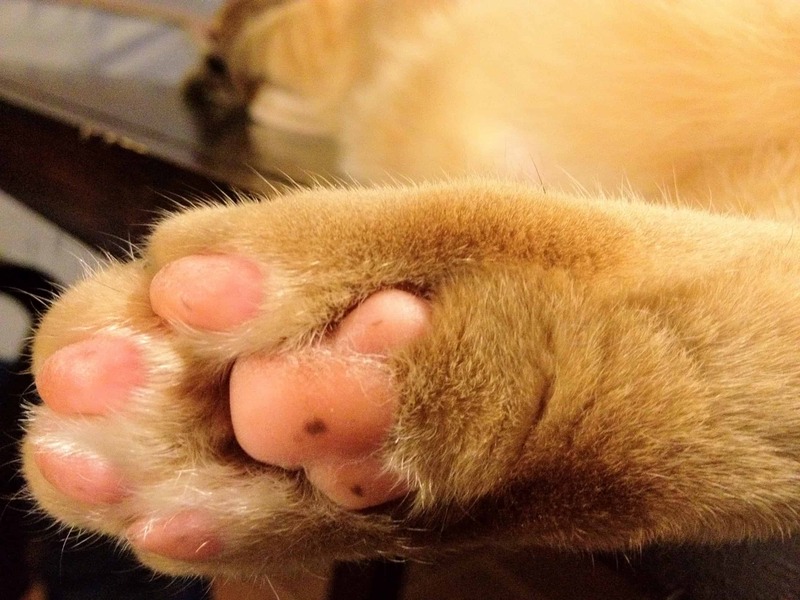 Today’s prompt is “close up.” Over the last few years, I’ve tried to improve my ability to take close up pictures. Close ups help us focus on details, providing a better understanding of and appreciation for finished projects. Rather than just sharing fiber arts pictures in this post, I’ve chosen close-up pictures that represent different aspects of my life. Collectively, these small details provide a better understanding of the ongoing project that is my life. 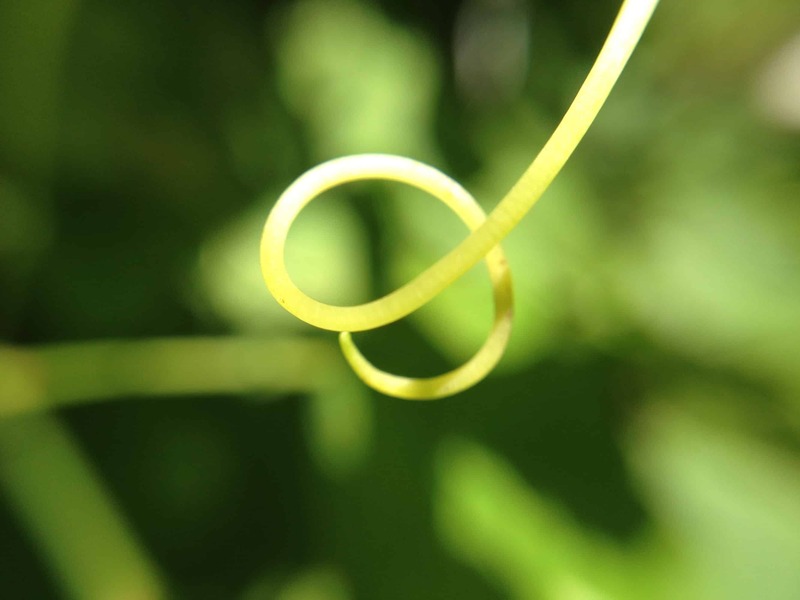 Since this is primarily a fiber blog, I am starting with the fiber pictures! 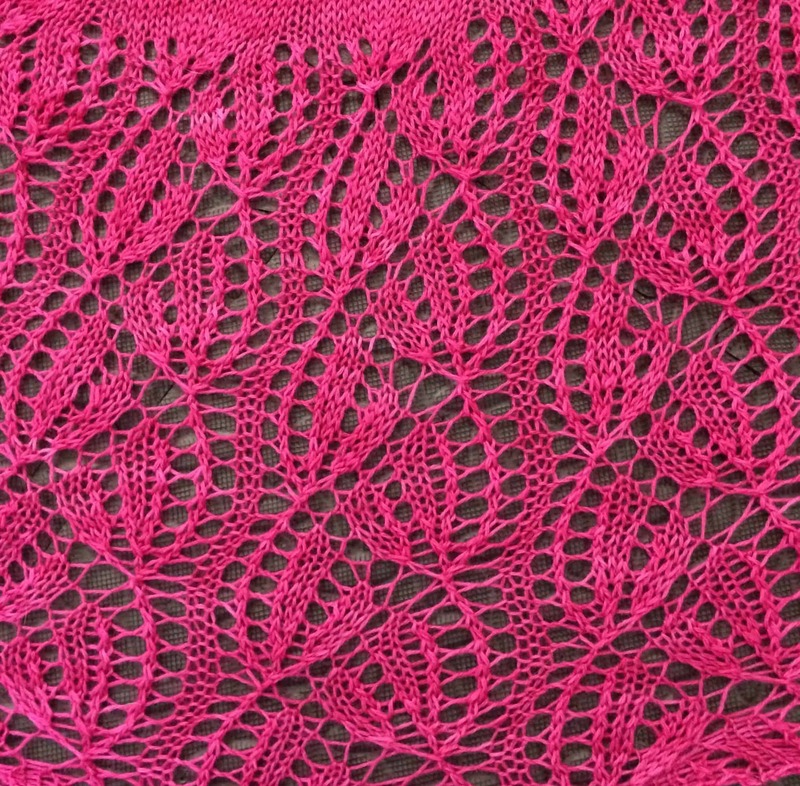 First, one of my favorite projects and pictures: a close up of the lace border on the Raindrops on Roses Shawl. Next, one of the first close-up pictures I ever took of a fiber project. 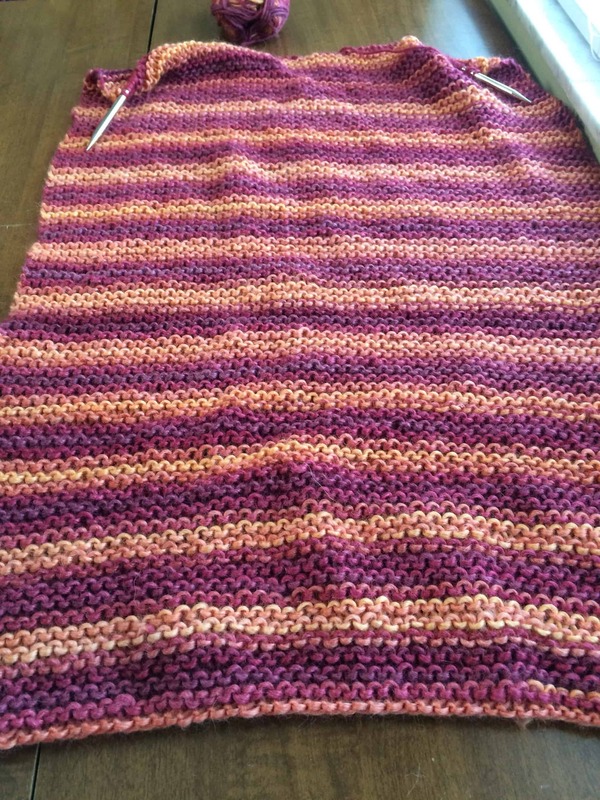 It’s a humble garter-stitch dishcloth and I hoped to take a picture that made it look like more fun than that! 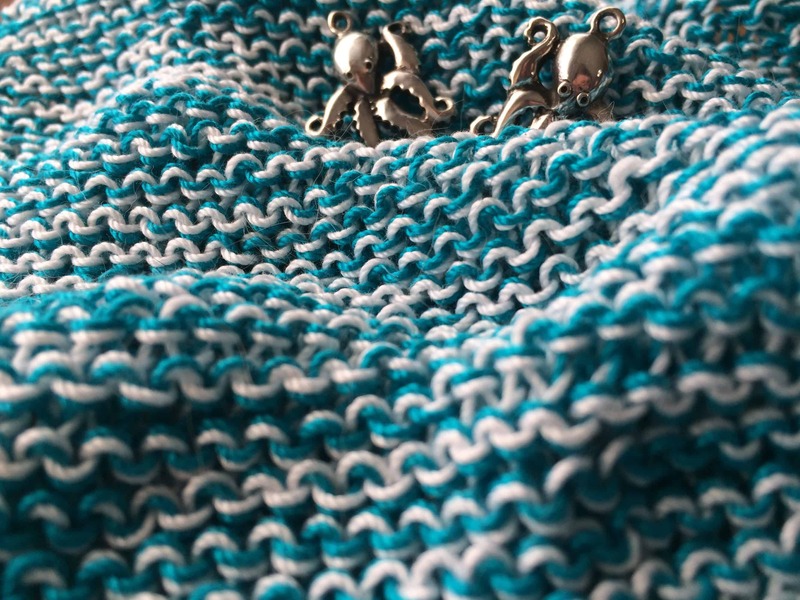 I tried to make it look like ocean waves and added the octopi charms both because of the ocean theme and because I love octopi so much. 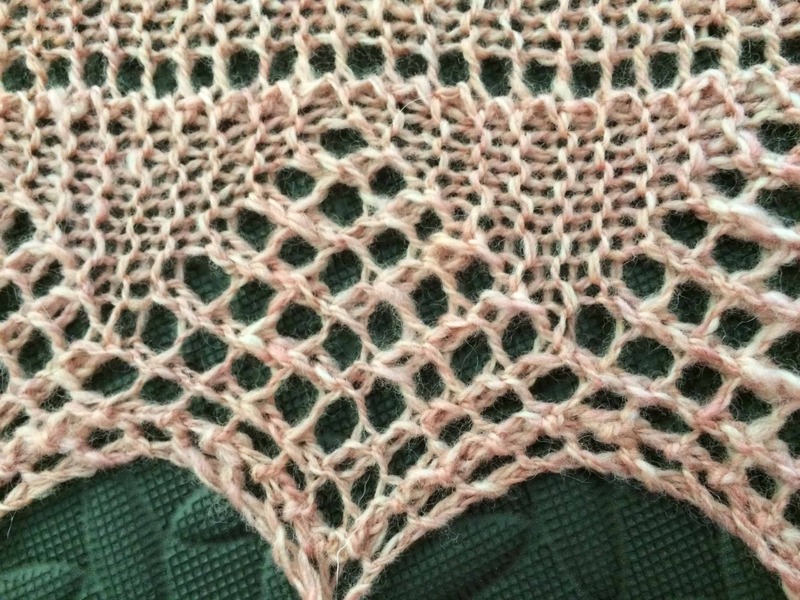 This is the lace edging on the first project I ever knit from my own homespun yarn. I was (and am) so proud to be able to knit from yarn spun by my own hands! 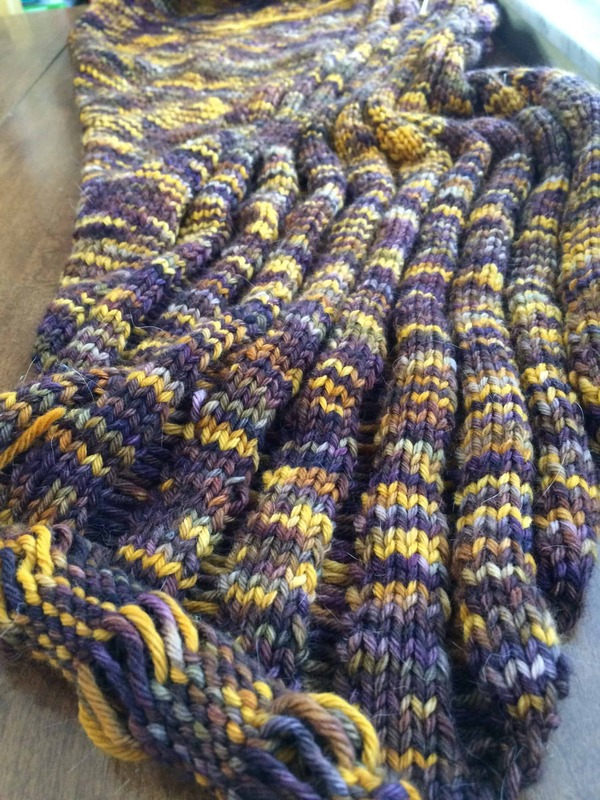 I have been obsessed with cables ever since I knit a cabled baby blanket as my second-ever knitting project. (The baby I knit that blanket for just got married this week and is expecting his first child). 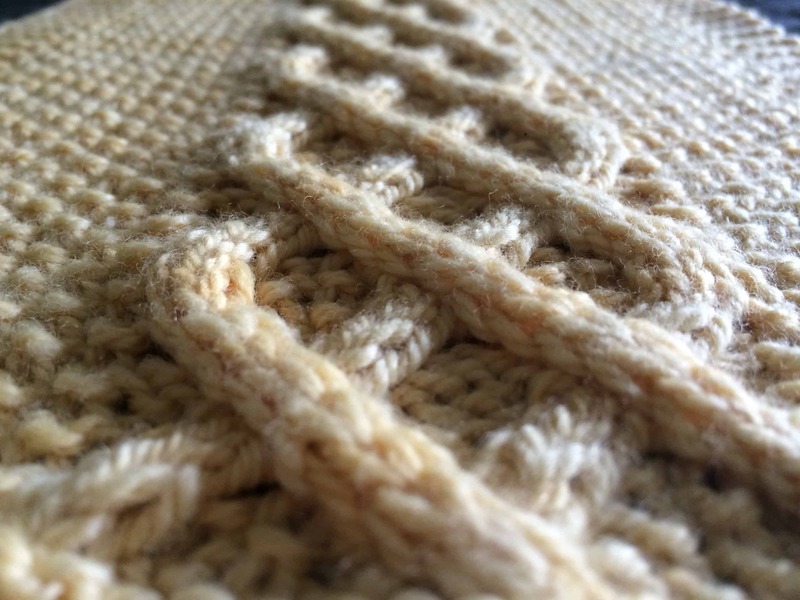 When I knit the Sand Tracks scarf, I became obsessed with the combination of cables and seed stitch. Rainbows make me happy, and this Redfish Dyeworks 20/2 Spun Silk gradient is no exception. 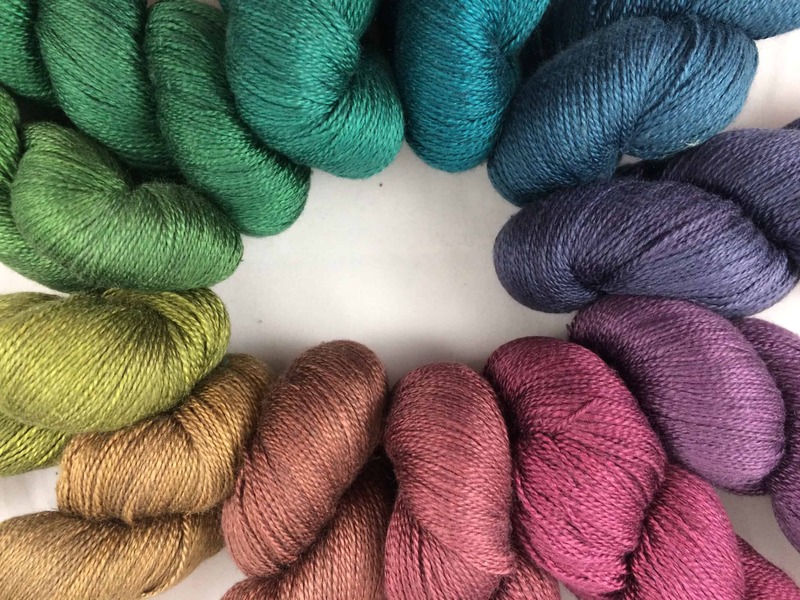 I love this picture because it captures all the skeins in the gradient and because there’s something perfect about the way the circle draws my eye around and around and around the rainbow. The Gotland / Teeswater fleece pictured here is one of the first fleeces I purchased (at SAFF 2016) to process by hand. 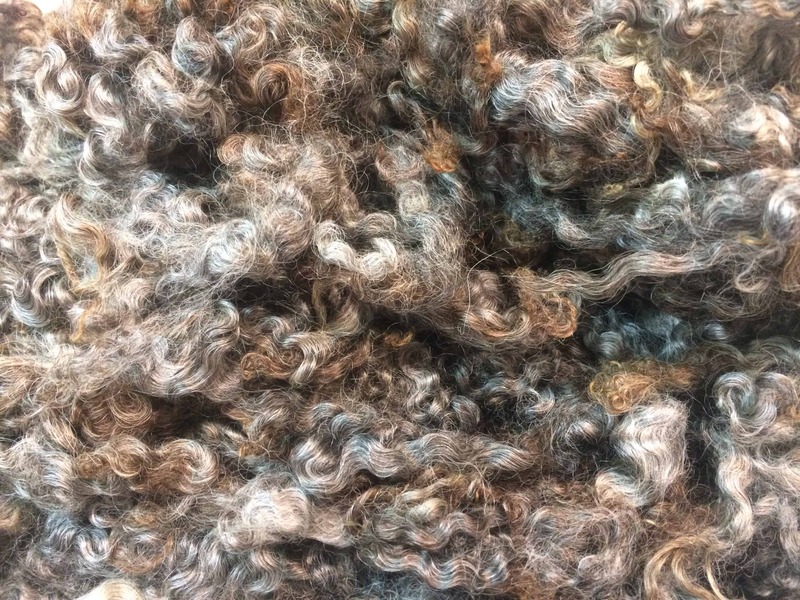 This picture is of the raw fleece and I love all the different colors in the fleece. I took this picture just before I washed it. I have yet to comb or spin it. 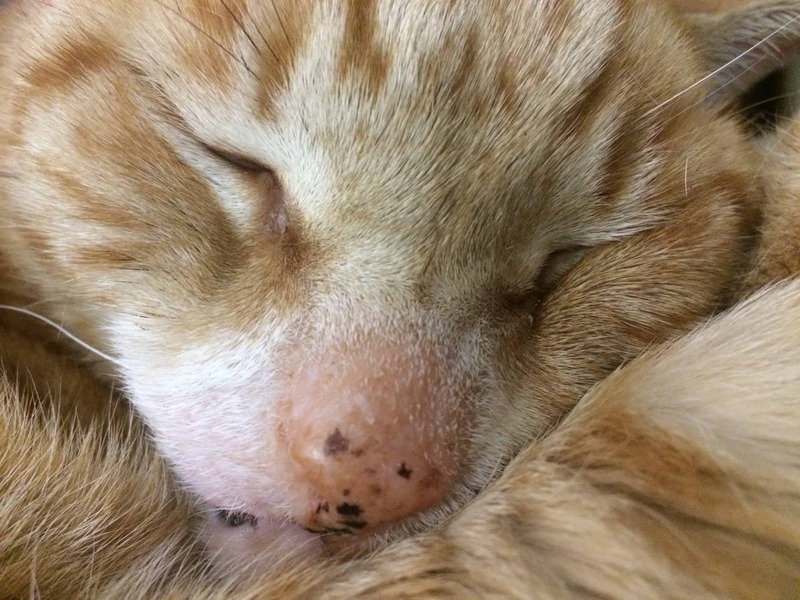 I take a ridiculous number of pictures of our cat, Tiger. He’s so photogenic. He’s also ridiculously cuddly. Sometimes he’s so cute and happy with cuddles that I don’t want to disturb him, but I’m also bored. I almost always have my phone with me, so I whip it out and take pictures of him. 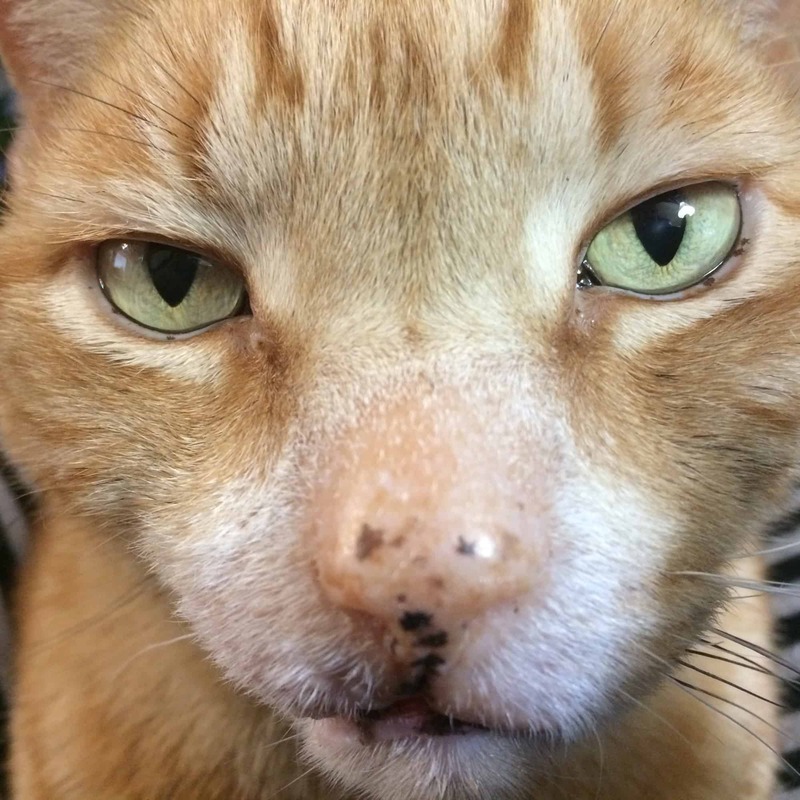 Of course, I take many close ups of his face. 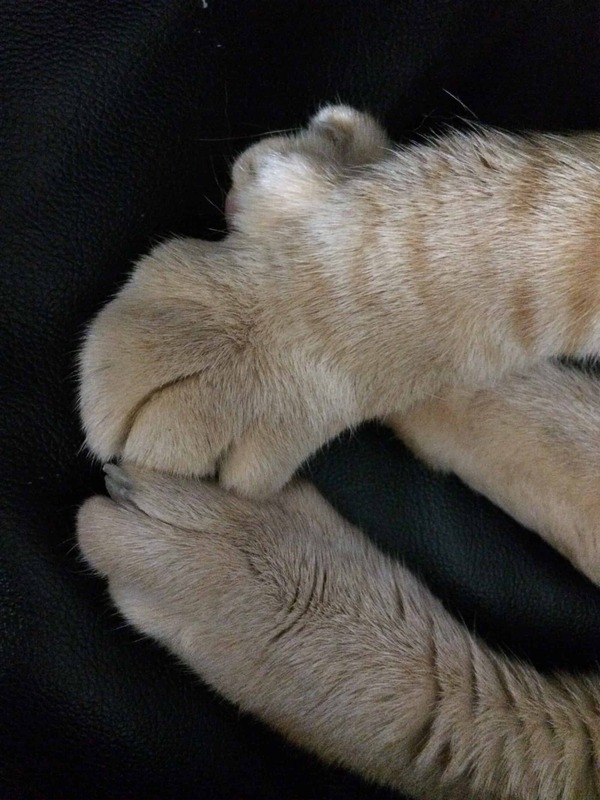 But I am also rather obsessed with taking pictures of his paws. 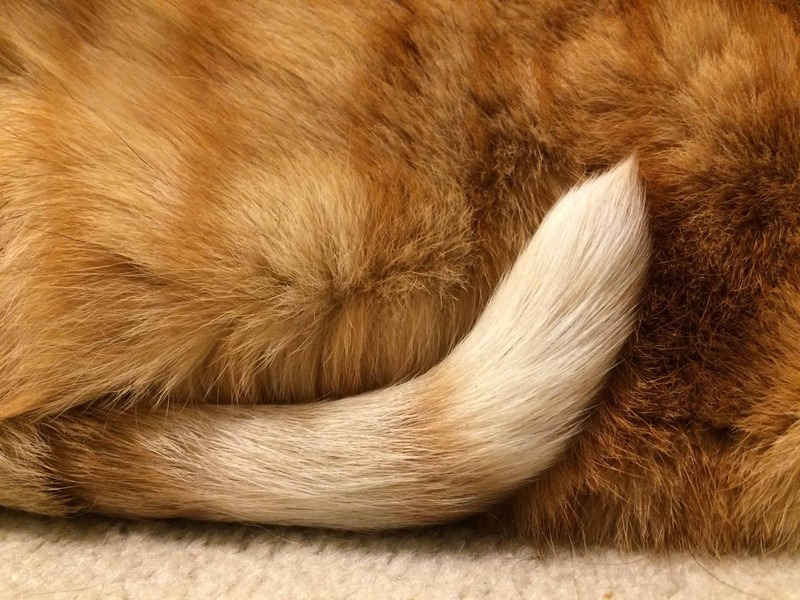 And the way his tail wraps around his body and curls up beside his hip is one of the most precious things in the world. My husband grew up in Toms River, NJ. Toms River is right about in the middle of the New Jersey coastline, separated by the intracoastal from Seaside Heights and Seaside Park, NJ. He grew up going to the Seaside beach constantly. His grandmother and an aunt each lived a couple blocks from the beach where the boardwalk was. Superstorm Sandy destroyed much of the boardwalk. If you watched any of the coverage of that storm, you might remember a picture of a roller coaster in the ocean. That was the Seaside boardwalk where my husband grew up. After Sandy, the boardwalk was rebuilt in record time, and the businesses lining it reopened for the following summer season. That fall, one year after Sandy, an electrical short started a fire that burned six blocks of the newly-rebuilt boardwalk (this article says 3 blocks, but it was really 3 blocks in Seaside Heights plus 3 blocks in Seaside Park for a total of six blocks). Fire trucks came from all over the state to fight that fire. In the end, they were only able to put it out by bulldozing out part of the new boardwalk to create a fire break. Three months after the fire, we were in New Jersey for Christmas, so we went down to the boardwalk to view the devastation. 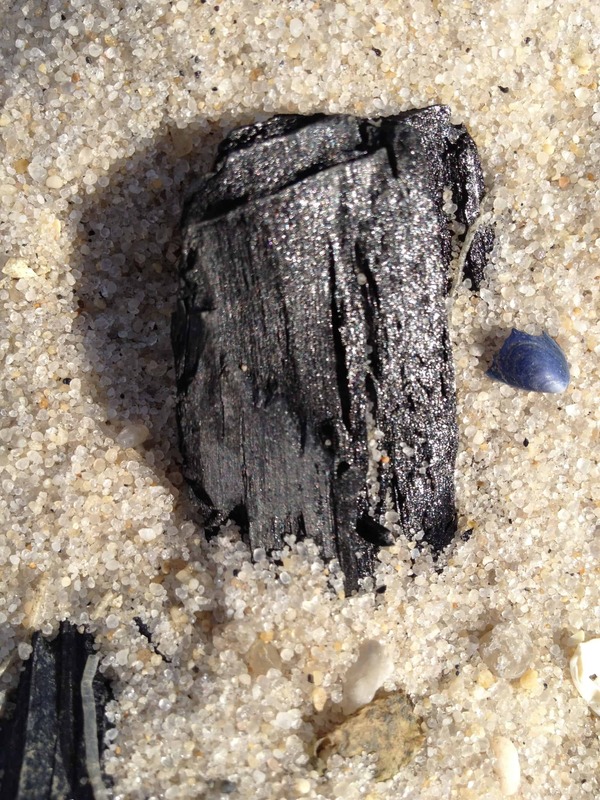 The picture before is a charred piece of wood, about 4 inches long, embedded in the sand near where the fire started. My father is a birdwatcher; I’ve been birdwatching with him since I was 6 months old, in a backpack on his back. Last year, we attended the Space Coast Birding and Wildlife Festival. One of the tours we took was a bird banding tour. The guide was a licensed bird bander. We accompanied him to the location where he bands and helped him to capture three birds for banding. He applied a band to each bird, weighed them, measured their wings, beaks, and leg bones, then released them. 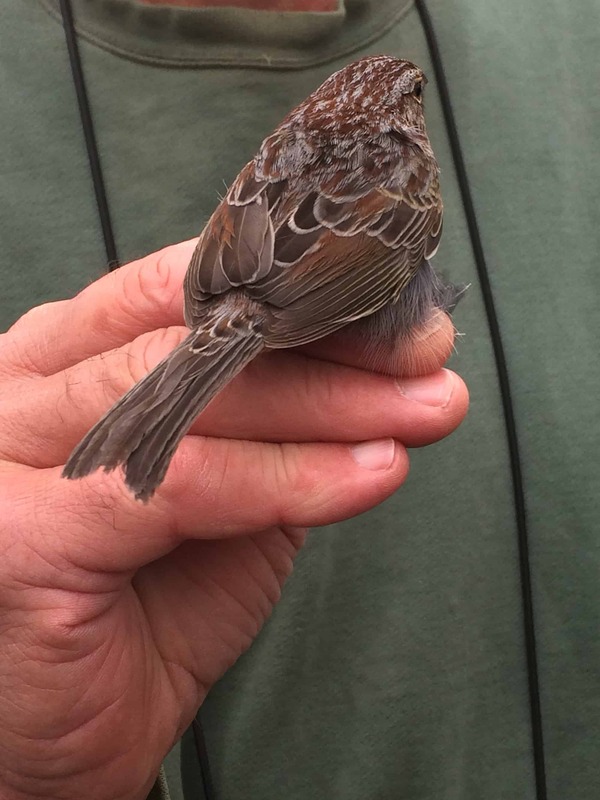 This is a Bachman’s Sparrow, an uncommon species which is in decline due to habitat loss. In the vendor area of the festival, was a booth operated by a bird rescue. They brought several of their education birds — birds that will never be able to released back to the wild due the extent of injury — and you could have a picture taken with the bird of your choice. I picked the Golden Eagle because I am a Ravenclaw and the Eagle is the emblem of our House. Note that I am not holding this bird. Only licensed handlers are able to do that. 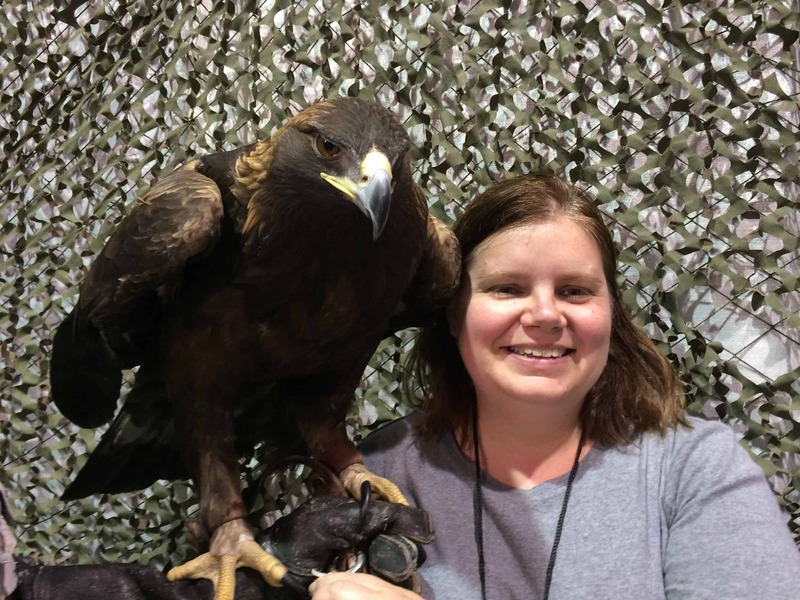 The eagle is sitting on the gloved hand of the handler and I am standing beside her. 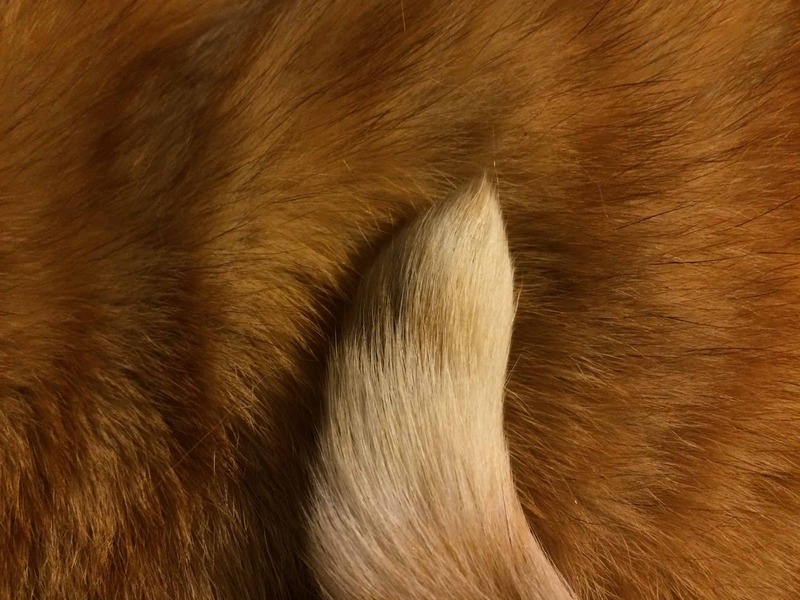 The picture is taken from a clever angle, making it seem that I’m closer than I actually am! Several years ago, I got lenses for my iPhone camera. I didn’t know such a thing was possible until I was traveling on business and a colleague had them for her phone. I was so excited, I bought myself a set. I especially loved the macro lens. 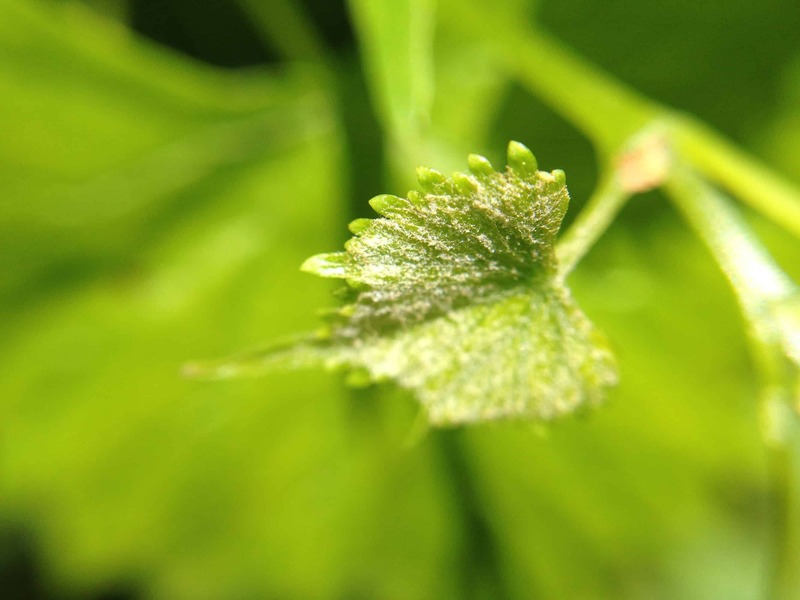 Leaf and tendril from the grape vines. We’ve since pulled them out because they were growing up against the house, destroying the paint and the window screens. Plus the neighborhood birds ate all the baby grapes while they were still green so we never got any ourselves. 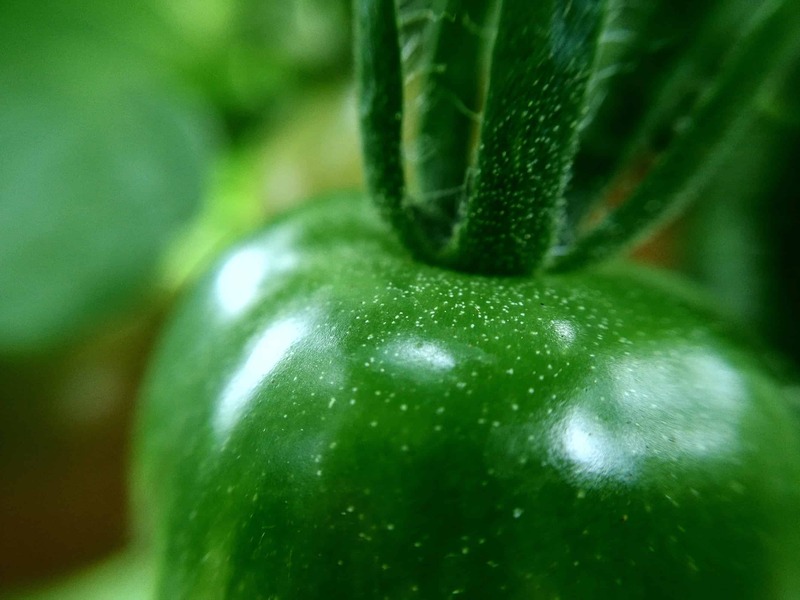 A cherry tomato, still on the vine. 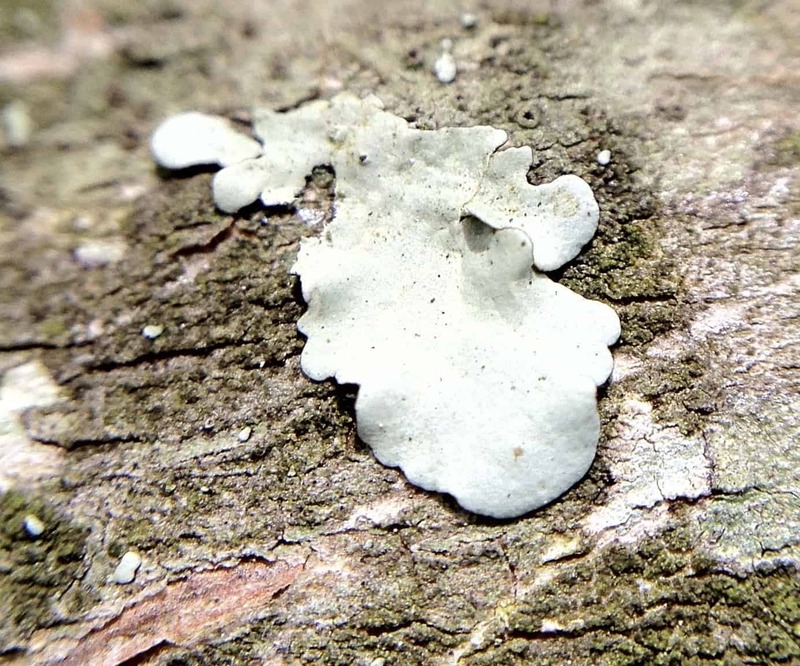 Lichen on the trunk of a crepe myrtle. 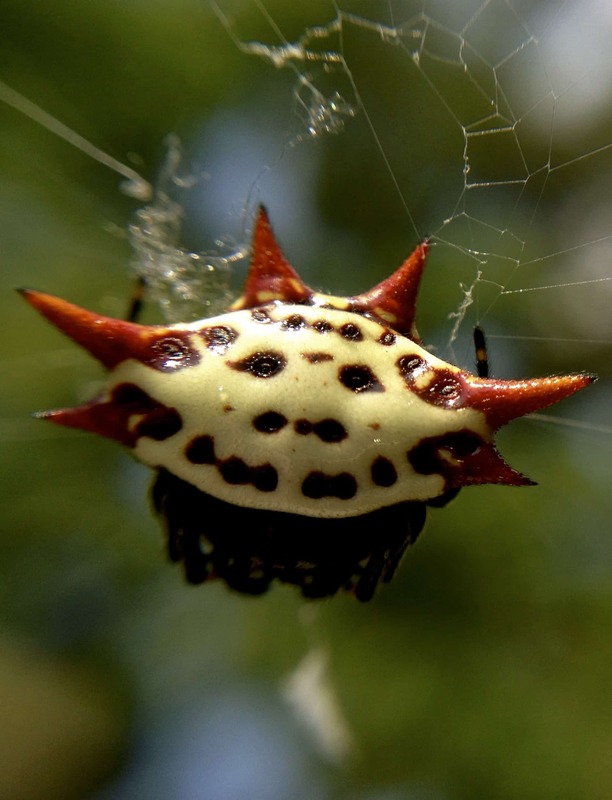 A crab spider on its web. Click here to read Yarn Love Challenge, Day 3: Currently Making. I listen to a lot of podcasts. I’m current on 242 podcasts, am listening to the back catalog of another 70 and have a waiting list of more than 100 to listen to whenever I get to them. I listen my way through 100 — 120 hours worth of podcasts most weeks. I am able to listen to this much content because a great deal of my time is spent on tasks that don’t require my focused attention. I listen to podcasts while cooking, cleaning, driving, shopping, and while knitting, crocheting, spinning, or weaving. In addition, I listen to most podcasts on at least 2x speed. I listen on 1x speed if sound matters for the content, as it does for audio dramas, a podcast about bird sounds, or podcasts about music. Everything else is set at 2.1x speed and the “silence skip” feature of the pod catcher I use (RSS Radio) means that I get an effective speed of 2.2x – 3x on most podcasts. The shorthand description of podcasts is that they are radio programs for the internet age. This is only semi-accurate. Technically, a podcast is audio or video content released on the internet using Real Simple Syndication (RSS). Sometimes, content is only released on the web, but often content created for other modalities, like the radio, are repackaged as podcasts. To make things even more confusing, some content that people refer to as a podcast isn’t actually a podcast because they don’t distribute the content via RSS. One common example of this is YouTube videos. YouTube does not interface with RSS. While you can subscribe to a YouTube channel, you can only do so through YouTube and YouTube channels do not have the option of providing an RSS feed for subscriptions. In order to find and subscribe to podcasts, you use a type of app called a pod catcher. You can get these apps through the app store on your phone. There’s a lot of options for apps and the best one for you will depend on what phone you have, how you like to organize things, and the number of podcasts to which you subscribe. In the two years I’ve been listening to podcasts, I’ve used four different apps. I love the one I use now, but I think it may only be available for iPhones. I’m not going to go into detail on the different apps and their options as that would take up an entire post and there’s many reviews out there, from people with more experience than I have. You might have noticed that while I defined podcasts as either audio or video content, the first paragraph of this post refers only to listening to podcasts, not listening or watching. I only subscribe to audio podcasts. I started listening to podcasts as a way to occupy and stimulate my mind while I engaged in the many necessary activities that don’t do so. When I have the opportunity to sit in front of a screen, I have too much competition for that time — TV, movies, computer work, etc. There’s so much audio content available on every subject I’m interested in that I don’t have any compelling reason to add video podcasts to competition for my screen time. Since I don’t watch any video podcasts, every podcast recommended here is, of course, an audio podcast. Podcasts are available in just about every content area you can imagine. I have 31 categories for content and 6 for listening and subscription status (New Stuff, Catching Up, In the Wings, Limited Release, Podfaded, and Abandoned). As you might expect, I listen to many podcasts about fiber arts. But I also listen to news, true crime, environmental, audio drama, law, reading, and science podcasts, among many others. For the purposes of this Top Twenty list, I decided to include few fiber arts podcasts. I listen to enough of those that they probably need their own list! I mostly chose podcasts that are currently in production, releasing episodes on some sort of regular basis, and that put a smile on my face when I see a new episode in my feed. This list is in alphabetical order. I decided not to number these from 1 – 20 because I love them all so much; at any given moment the number 1 would probably be the one I listened to most recently. Originally, this post was going to be a Top Ten list, but I just couldn’t narrow it down that much! Hopefully you’ll find something new that will capture your attention. I’m always looking for new podcasts and look forward to your comments sharing your favorite podcasts. This is an NPR show, released as a podcast. If you’re an NPR fan, you should know that they release most of their shows as podcasts. If you can’t listen live, you can always subscribe to a show for later. 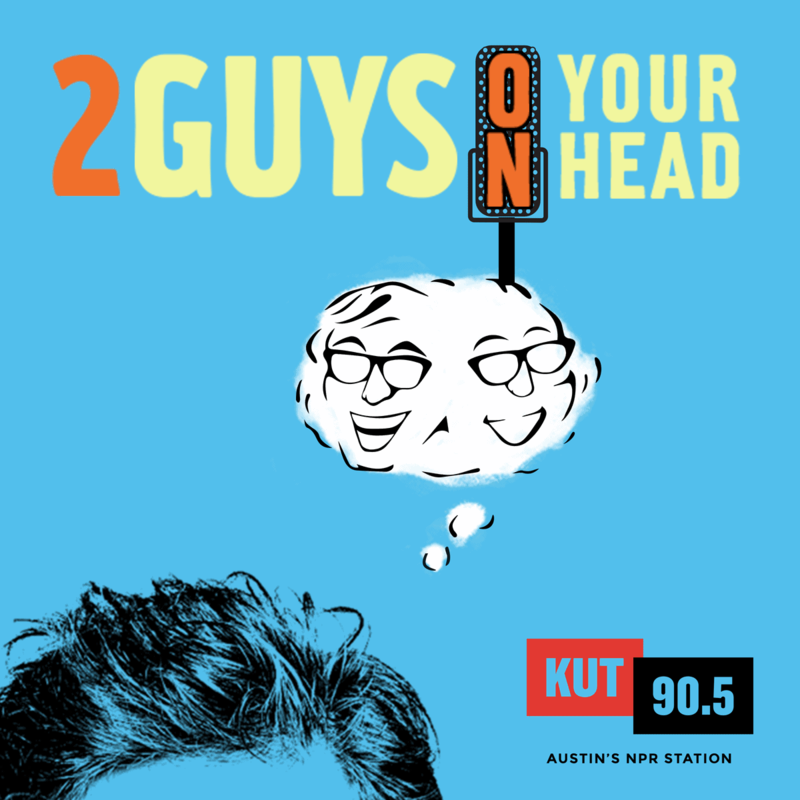 Plus, you can subscribe to podcasts of shows that only play in a local market, like this one from Austin’s NPR station. The hosts, both PhDs on relevant matters, discuss everything about the brain — psychology, learning, science, memory, whatever. If it has to do with how your brain works, you’ll hear about it on this podcast. 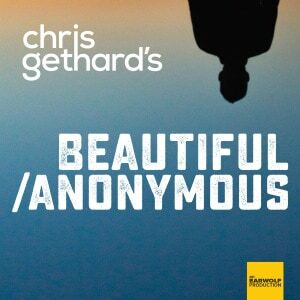 The long name of this show is Beautiful Stories from Anonymous People, but most call it just Beautiful Anonymous. Hosted by Chris Gethard, the premise of this show is “1 phone call. 1 hour. No names. No holds barred.” When he’s in the studio, ready to record an episode, Gethard tweets out his phone number and people call him. He takes a call and spends an hour chatting with the person, unless the person hangs up early, which has only happened once in the 49 episodes aired to date. Callers do not give their names. A few times, people have slipped and said their names, but these are beeped out so as a listener, you don’t know even the first name of the caller. Sometimes people call in with a specific story to share. Sometimes, it’s an hour of shooting the breeze, but in a far more personal way than you’d expect of a conversation between strangers. And it’s this that makes the show so compelling. Gethard has a knack for asking the kinds of questions you really want to ask, digging into what it’s really like to have lived the experiences of this person. I love each and every episode of this show (except that one episode that’s just a series of fart jokes. I fast-forwarded that one). This podcast started as a project of the Seattle Audubon, but has since been spun off as a separate organization. 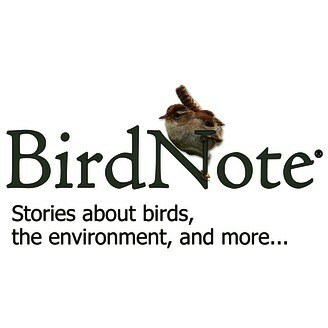 Each episode is a little tidbit about birds. Most episodes are about a specific species and share a few facts about the bird. Some episodes deal with a particular environment or a broader environmental view, but these episodes are always tied in some way to birds. My father is a birdwatcher and I’ve been birdwatching with him since I was an infant in a backpack on his back. This daily nugget of bird lore connects me to that legacy and brings a smile to my face every time. 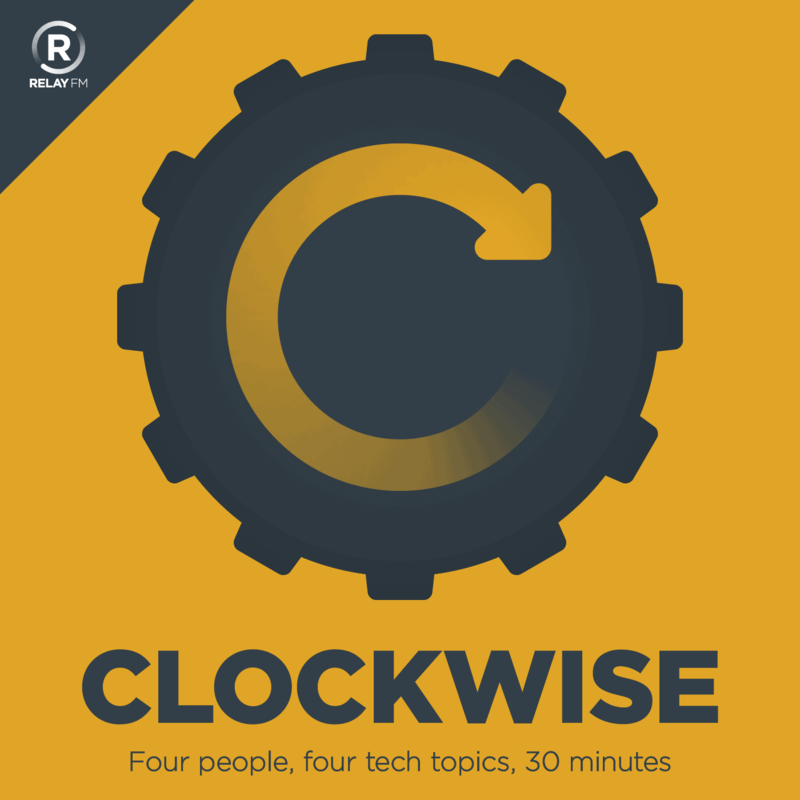 Four people (two regular co-hosts and two guests) cover four technology topics (and often a non-tech bonus topic) in 30 minutes. I like the tight structure of the show, always 30 minutes, because while I’m interested in tech, I’m not interested enough to listen to a long and unstructured ramble about tech. Just the highlights, please, and that’s what this show provides. The co-hosts are Apple users as are a high percentage of their guests, so discussion tends to focus on Apple products and services . They don’t just cover the Apple universe, however. Note that this is NOT a news show; it’s four people sharing their opinions on pre-selected topics that are often, but not necessarily, related to current news. Hosts Jen and Trinn are real-life friends and co-workers at Cards Against Humanity. 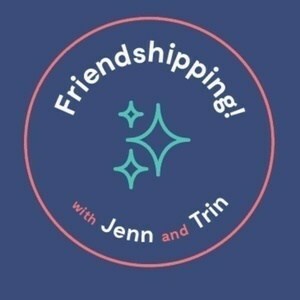 In this podcast, they discuss all kinds off friendship issues. 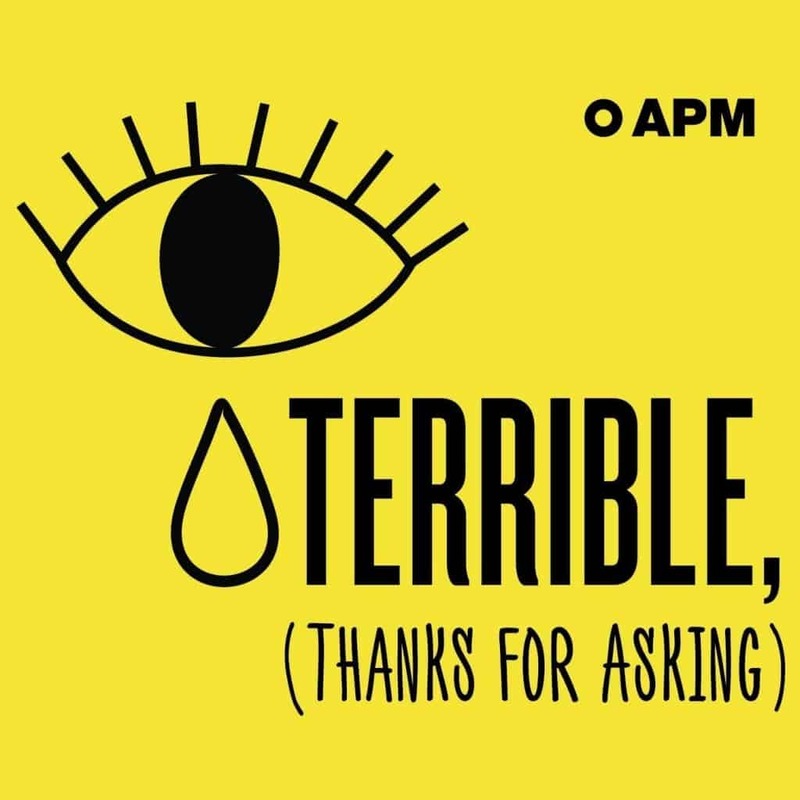 Now that the show has been on for more than a year, most of the episodes are answering questions submitted by listeners, so the show is basically a modern version of Dear Abby. I love Jen and Trinn and I want to be their friend. They are so good at seeing different sides of questions and hashing out issues from different angles. They are always compassionate with the listener questions, but they aren’t afraid to lay down some truth when warranted. 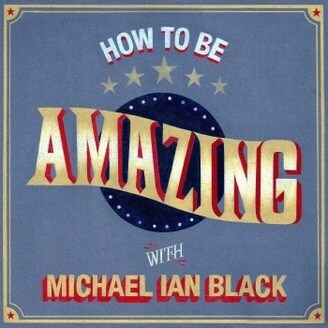 Host Michael Ian Black interviews famous folks about how they came to be who they are today. From childhood to the present, guests talk about the hurdles they’ve overcome, what they expected out of life and the extent to which where they are now does or does not meet their expectations. What I love about this show is that it is so conversational and deep. This is not a shallow, red carpet interview. These folks might be famous, but this show seems to break through the persona to reveal the real person. This one is a bit of cheat, based on the criteria I enumerated at the top of this list. 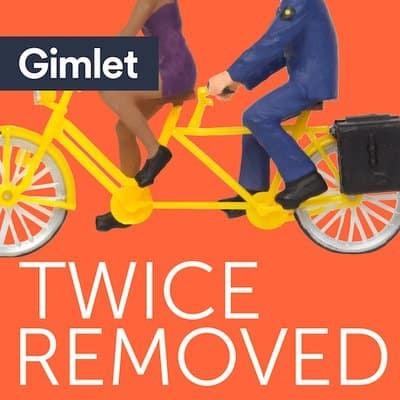 There’s only 11 episodes of this podcast, episodes aren’t released on any kind of regular schedule, and I have no idea if she’ll be releasing more of them. However, each episode is a treasure and I am truly excited when a new episode drops. Host Felicity Ford is a knitter and a sound artist. As a sound artist, she gets hired to do things like record the sounds of church bells in English towns so these sounds can be preserved in a museum. As a knitter, she teaches workshops at fiber festivals all over the United Kingdom. In the KnitSonik podcast, she combines these two skills into one of the most unique podcasts I have heard, by capturing and narrating sounds related to fiber arts. Some of this might be the first thing you think of when you think of fiber, like the sound of sheep bleating. But there’s much here you might not consider, like the sound of silk worms eating mulberry leaves and the sound of different fires in the background while she knits. This is one of the rare podcasts I listen to on 1x speed. 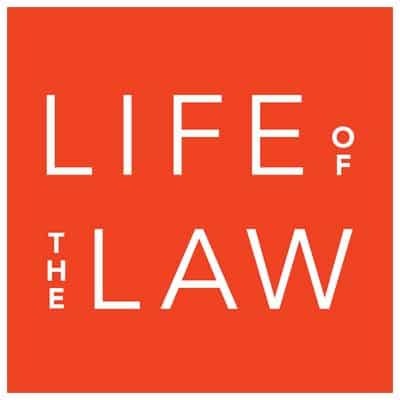 This podcast is about how the law interacts with everyday people. Some episodes are investigative journalism, some are coverage of hot topics in law, and some are “Live Law” events where people share their stories of interacting with the law. You don’t need to have any kind of background in the law to appreciate this podcast. On the other hand, if you do have a background in the law, you won’t find yourself rolling your eyes, thinking they don’t know what they are talking about. The podcast is intended to get you thinking about what the law means for every day people and therefore takes a personal rather than a technical approach. 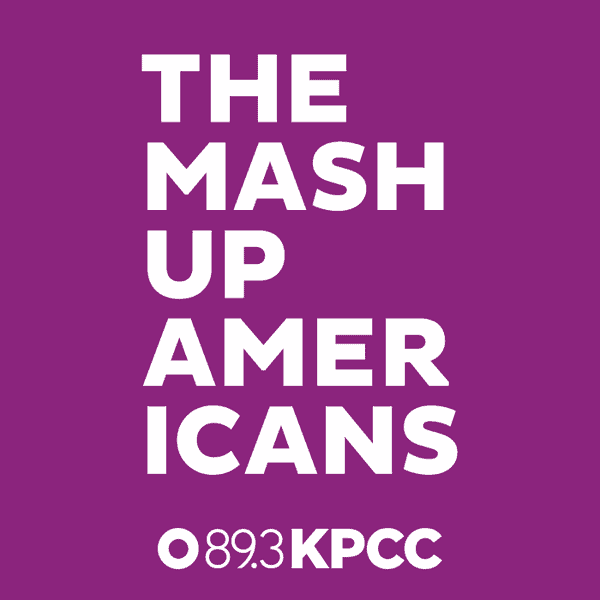 The Mash-Up Americans celebrates and describes the experiences of people who embody multiple ethnicities and cultures. On the podcast website, Host Amy Choi describes herself as: “a Korean-American married to a Colombian-Mexican-American, she is mom to a feisty Korombexican-American: in other words, The Future of America.” Host Rebecca Lehrer describes herself as “a Salvadoran-Jewish-American married to an American-American.” Each week, they interview other mash-up Americans about their lives and experiences. Even if you aren’t the kind of person who usually listens through the entire back catalog of podcasts, I highly recommend going back to episode # 2, The Mashed-Up Life of Donald Trump, which originally dropped in November 2015, when he was still one candidate in a crowd of Republican contenders. On his website, creator, host, and current Metropolitan Museum of Art artist in residence Nate DiMeo calls this “a storytelling podcast about the past.” That’s accurate but doesn’t fully capture the beauty of this podcast. Each episode tells a little nugget of a story, often a small episode that’s long been forgotten. DiMeo has a wonderful way of telling these stories, of sharing their highs and lows in a way that is absolutely magical. I am usually left with a sense of wistfulness, of something wonderful that I’m sorry to have lost. It feels like looking at old family photos, where you don’t remember or never knew the names of everyone in the pictures, and the people who did know those names and could tell you the stories that go with those pictures have passed away. Another NPR podcast. 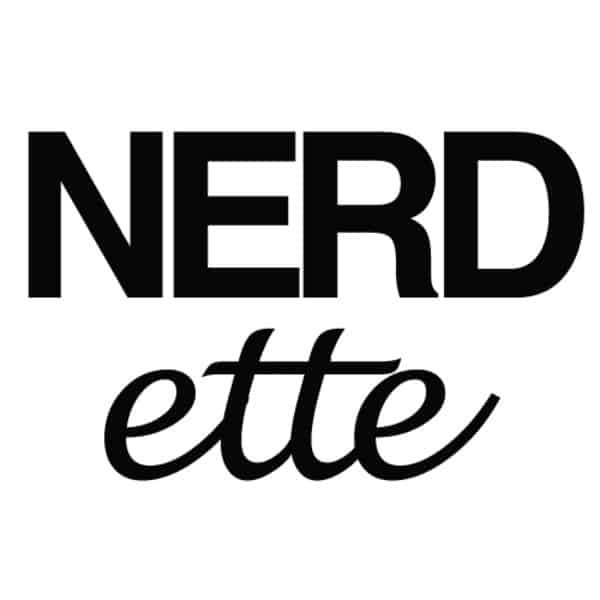 The two hosts of Nerdette interview people about their obsessions. This can be things you might traditionally think of as nerdy, like sci fi, but the show does not limit itself to the traditionally nerdy. If someone is obsessed about a topic, whatever the topic, then that person is a nerd for that topic. I love listening to people nerd out about stuff; there’s so much to learn and no one person will ever be able to learn it all. These episodes are like Cliff Notes to the many amazing things I might not otherwise hear. Also, they have a regular feature where they profile great lady nerds of history. The Orbiting Human Circus (of the Air) is an audio drama, brought to us by Nightvale Presents, the production company that grew out of the Welcome to Nightvale podcast. The Orbiting Human Circus (of the Air) follows a lonely janitor who works at the titular Circus, which takes place atop the Eiffel Tower. Like all the Nightvale Presents podcasts, there’s an element of the surreal here, but in this case played in a nostalgic comedic, and sometimes even slapstick, fashion. The janitor bumbles and fumbles, but he’s our hero and somehow he always manages to find his way back from the brink of true disaster! This is another of the podcasts I listen to on 1x speed. 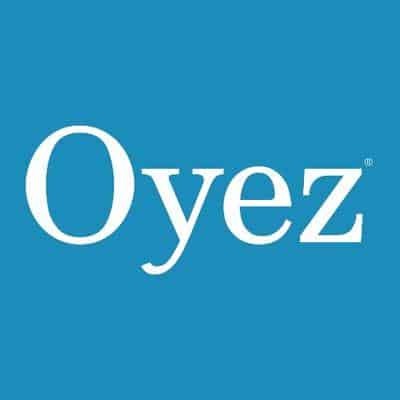 Every SCOTUS (Supreme Court of the United States) session starts with the Supreme Court Marshall calling, “Oyez, Oyez, Oyez,” which is the source of this podcast’s name. While no cameras of any kind are allowed inside the court to visually record the proceedings, every oral argument since 1955 has been audio-recorded. The Oyez Podcast is a project of the IIT Chicago-Kent College of Law. They obtain the audio recording of every SCOTUS oral argument and release these recordings as a podcast. The episodes all drop on Fridays, for cases heard in the prior week. There’s no commentary or introduction. This is just the raw audio, as recorded by the court. Since this is the raw audio, those without a background in law many sometimes have difficulty following the cases. There’s no introduction of the various people speaking, there’s no background blurb about the case, and the issues before the Court are often narrow and technical legal issues. If you’d like more background on cases, check out SCOTUSblog, which lists all the cases to be heard by the court and the questions presented by each case. Even if you find it difficult to follow the cases at times, I believe it is worthwhile to listen to these arguments. It is an amazing aspect of our democracy that we have free and easy access to these oral arguments. You get to listen to a primary source and draw your own conclusions, providing you with a basis for critical evaluation of news reports on these cases. So I’m cheating a little on this one because it’s no longer in production. This was a limited release show, which is the term I use for a podcast that is designed to cover a specific topic over a certain number of episodes. In this case, that’s one episode per U.S. President, plus an intro episode and a post-election episode on Donald Trump. The first episode dropped at the beginning of January 2016. Subsequent episodes came out weekly through the week before the election, when the Obama episode dropped. 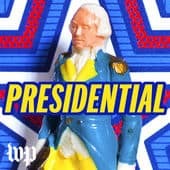 Each episode examines a specific President, their personality, a little about their history, and the ways each impacted the role of the President. It’s a fantastic podcast, and I continue to subscribe to it on the off chance that they’ll come up with a new approach and release a second season. The philosophy of this show is, “Only boring people ever get bored.” Amen, sister! On Wikipedia, there’s a Random Article button. Click it, and you never know what you’re going to get. On this show, the host clicks that button, then researches to learn more about that topic, and shares her research with us. It’s awesome. The show just launched in August of 2016 and the first season was only 5 episodes. There’s supposed to be new episodes coming soon, though I don’t know when. . 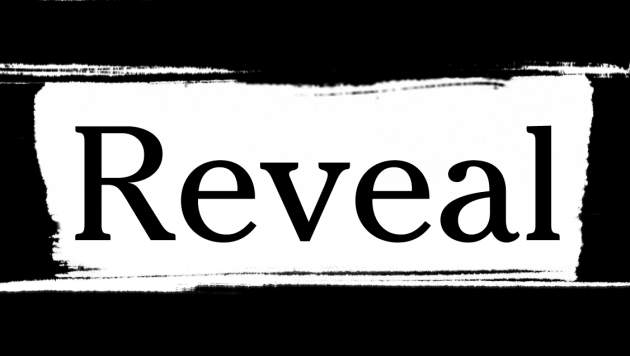 Hosted by Al Letson, Reveal is co-produced by the Center for Investigative Reporting and PRX. Each episode is an investigative report on a current issue. Recent topics have included air pollution in schools, the conditions in federal prisons, and the secrets kept by leaders of the Jehovah Witnesses. Most episodes involve long-term research and investigation into the topic. For example, one of the reporters in the episode on federal prisons went undercover as a guard in a prison. He worked as a guard for about 6 weeks. Once in a while, there will be an episode on a current topic that takes a different approach. For example, a recent episode on reactions to Donald Trump’s first weeks in office consisted of interviews of residents of Jacksonville, Florida (which is where Al Letson is based). Either way, Reveal is the kind of journalism that we seem to have lost over the last decade or so and I very much appreciate the work they do. This is a podcast about “robots and feminism, but mostly robots.” Podcasts have been around since 2004, but the vast majority of hosts, particularly of popular shows, have been white men. (Here’s a 2013 article discussing this and here’s one from June 2016). This tends to be even more true in categories that some define as culturally male, like tech and business. 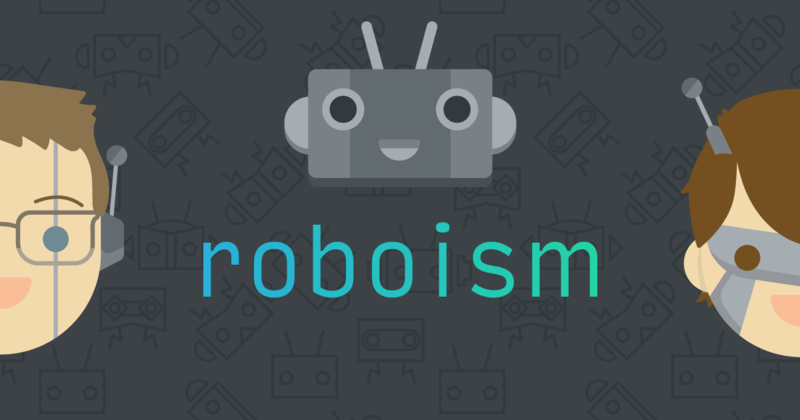 Enter Roboism, a podcast hosted by two women geeking out about all things robot. In addition to the kind of robot love you expect, they also bring a feminist eye to the topic. One of the conversations that I personally found eye-opening was a discussion of the gender of R2D2 and BB8. Although I hadn’t personally considered the gender of these robots before, listening to their discussion I realized I was subconsciously gendering both R2D2 and BB8 as male. Apparently BB8 is a girl and many argue that R2D2 is too. Pretty much every day, someone asks you, “How are you doing?” Of course you answer, “Fine,” even when that’s not true. The name of this podcast is the answer host Nora McInerny and her guests could have given but didn’t. Everyone on this show shares stories of the worst tragedies of their lives. Some are currently going through their trauma; some have gotten through it and healed a bit and are sharing their journey. This sounds like a terribly depressing premise for a podcast, but I don’t find it to be depressing. Instead, I find myself admiring the strength and courage of each individual as s/he keeps moving forward, one minute at a time if necessary. These are people who appreciate the journey, even when that journey is hard. In this podcast, there’s a host and two guests. The identity of one guest is a mystery, only revealed at the end of the show, though you do hear comments from that guest at times throughout the show. The host (and presumably his production team) have done research on the primary guest’s family tree. 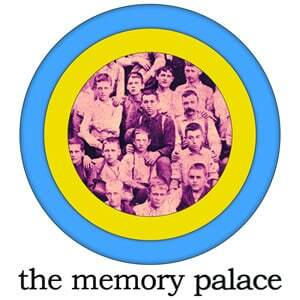 The mystery guest is a distant relative of the primary guest. The host shares with the primary guest the research they’ve done. This isn’t just this person begat this person begat this person begat your mother kind of sharing. Instead, the host cherry-picks relatives who share a common characteristic with the primary guest and shares that part of the life story with the primary guest. For example, when Ted Allen was the primary guest, all the stories of distant relatives were about people who cooked professionally or were well known for a particular dish they made. At the end of the episode, the mystery guest and primary guest are introduced to each other. In most cases so far, the two already know each other. (For an idea of what the show mechanics look like, see this graphic from the most recent episode on Jean Grae). As I read the description I just typed, I realize it accurately describes the mechanics of the show but fails to capture its true magic. The magic is in the storytelling from the past, hearing about the lives of these long-gone relatives and how at least some small aspect of their lives resonates in the present. I recognize that there’s manipulation here; these are far-flung relatives, chosen specifically because their story resonates with the person in the present. I’m okay with that, though. The stories are well told and I’m happy to go along for the ride. Host Ann Bogel asks guests to share three books they love, one book they hate, what they are currently reading, and what (if anything) they would like to be different in their reading lives. Based on this information, she gives them three book recommendations. It’s a simple structure for the podcast, but it is never boring because each guest’s preferences are so individual. The guests don’t just give a list of the books they love, hate, and are reading. They talk about why they picked those books, about how reading fits into their lives, about how their love of reading was kindled. 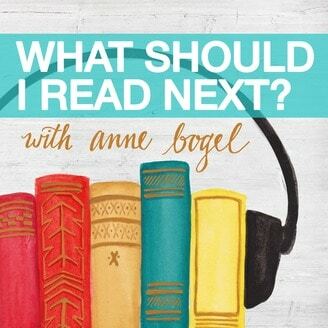 Ann Bogel is excellent at spotting connections between books and getting to the bottom of what a particular person cares about in their reading. Her recommendations always feel personal, and aren’t just the latest bestseller. The podcast is an ode to the love of books and consists of exactly the kind of conversation that happens whenever two book lovers get together. And my TBR (To Be Read) pile… Well, thanks in part to this podcast, you better watch out or it might just topple on you! I’m working on three big yardage projects right now, and it feels like I’m making progress on all of them. I love that feeling! I’ve finished a total of 9 or 10 repeats of the pattern. I wanted to finish this project before I went to India, but I ran out of yarn. After I got back from India, I ripped back all the way through my last straight section and put the project back onto the needles. This week I started knitting the decrease section again. Pepper spends her nights in my office, to keep her away from the other cats. She’s fragile, they are bigger than her, and I’m afraid they might accidentally hurt her. Her arthritis is bad enough that I don’t think she can get down the steps into the garage to get to the litter box. I’ve left one bottom shelf of my bookcase empty because she likes to sleep in there. I decided to make a felted sleeping pad for that space, to make it a more enticing sleeping spot. I cast on about twice the width of the space and will knit about twice the length. 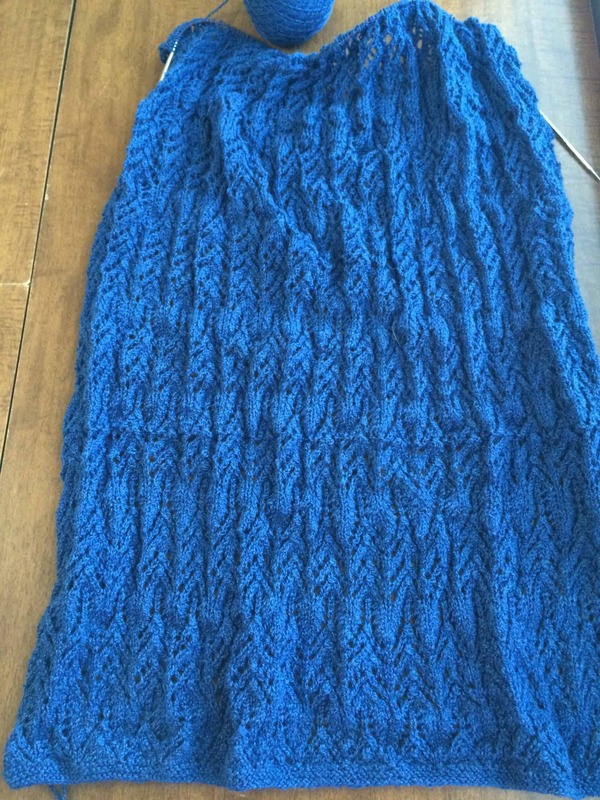 Since it’s just garter stitch, it is going fast. I just cast on last Saturday night and I expect to be done knitting through 500 yards of yarn by tomorrow! I am transforming this website from a podcast site into a blog. Even though I only ever released one episode, I’d like to explain what happened and what my new plans are for the site. When I first started the podcast last fall, I had a great deal of fun. I recorded 7 episodes, even though I only released one of them. My launch timing was rather bad, as it coincided with when Blip.tv started kicking knitting podcasters off their service. I had done a great deal of research on the technical aspects of launching a podcast before I did it. I had zero experience with how to set up a website, how to edit video, and how to do any of the small technical tasks related to getting a podcast into a pod catcher for viewers. Through my research I knew that I needed to have a media host, but I had missed the fact that YouTube can not be a media host as you do not have an RSS feed that talks to iTunes or any other pod catcher. I did not figure this out until I uploaded the first episode to YouTube and tried to figure out how to get the YouTube channel linked to iTunes. When I started looking into other options, I discovered just how expensive those other options are.